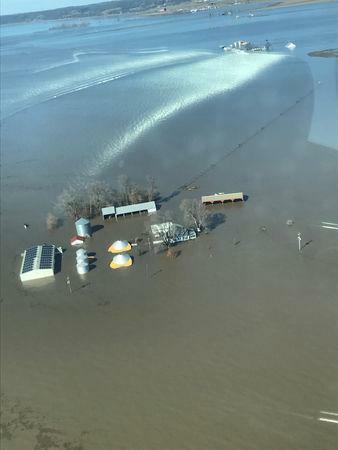 The flooded farm of Richard Oswald is seen in an aerial photo taken near Langdon, Missouri March 20, 2019. Courtesy of Richard Oswald/Handout via REUTERS. 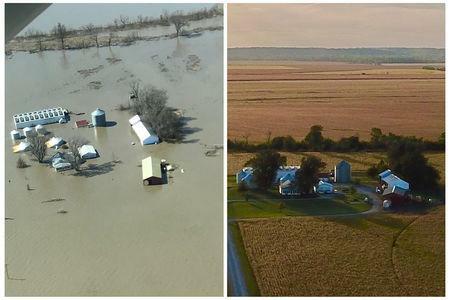 Thousands more will now go under without emergency financial support for flooding, pummelling heartland economies almost entirely dependent on agriculture, farmers and aid groups said. 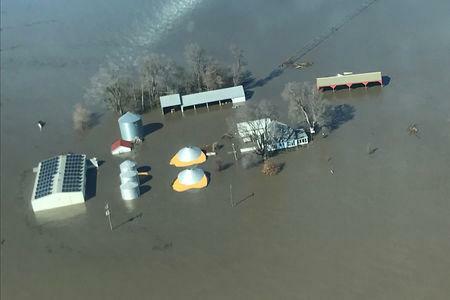 Relief organisation Farm Rescue is collecting donations of hay in the Dakotas and trucking it to farmers whose cattle are starving after their feed stands were submerged in floodwater.